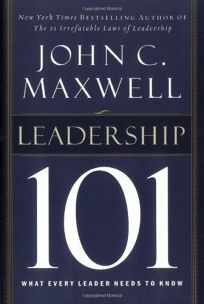 John C. Maxwell outlines “Priority Principles” in his book, Leadership 101: What Every Leader Needs to Know. There are many books and resources which teach us about becoming effective and powerful leaders in our professional lives. What about taking some of those same principles and applying them in your personal life? Let’s look at some of Maxwell’s Priority Principles and focus them in the direction of our personal roles as spouse, parent, partner, friend, family member and community member. Priorities never “stay put”: Depending on where you are in life and what you want in life, your priorities are ever-changing. On a bigger level, before you have children, perhaps your career was at the top of the list. Once you have a family, perhaps that moves up and the career moves down. If you have health issues, that may move to the top. On a daily level, your priorities also can change based on which family member has what going on, what big work project is in front of you, which friend is going through a rough time, etc. As Maxwell suggests, there are three pieces to the priority puzzle which can help you determine what priorities need to be where at any particular time. Evaluate your priorities on a regular basis (weekly, monthly). I encourage you to not only evaluate your priorities on a regular basis, but also get in the habit of discussing and evaluating your family priorities with your spouse/partner on a regular basis. Often arguments arise, resentment occurs, and disconnect sets-in when couples fail to share and discuss their individual and collective priorities, goals and dreams. Eliminate the items from your list that can be done by someone else. Where can you get help? What are the things you don’t want to do, don’t like to do, or aren’t good at doing? You can have it all, but you can’t DO it all. Delegate what can be done by someone else faster, easier or better then if you try to squeeze it in with everything else on your plate. Estimate how much time you want to spend of your top projects and priorities—now double that—and then work it into your schedule. As multi-taskers, we often underestimate the amount of time it will take to do things, but we also underestimate the amount of time we want to do things. If you end up saying yes to everything you are invited to on the weekends, thinking that you can just stop by this party for thirty minutes, and then catch twenty minutes of your kids game, and then spend an hour having coffee with a friend, only to find out that you would have loved to have stayed at the party longer, and then you were running late so you showed up at your kids game right when it was over, and then you had to end your great girl time talk with your friend in mid-conversation to make it to your next appointment….you see where I am going with this. How would it feel to say yes to less things so you have more time to enjoy your priorities. You cannot overestimate the unimportance of practically everything: What are the things that you can overlook? What details matter and which ones don’t? Do you feel like you don’t have time for everything because you are spending time on things that don’t really, really matter? Perfectionism and the desire to control everything are two vices that I see working moms struggle with again and again. Breaking perfectionism and letting go of some of the control, especially on the things that aren’t that important, will be your saving grace. Too many priorities paralyze us: You know the feeling. Everything feels important and needs your attention and therefore nothing fully gets your attention. I see this over and over again with high-achieving, professional, successful moms. They are organized and effective at work, but then they get home and let things fall apart. They get home and feel exhausted, thus making decisions based on what's easiest, not necessarily what's best for them or their family. Overwhelm from the rest of life kicks in and chaos unfolds. This is why creating success strategies and solutions in your home and personal life can dramatically increase your overall life success, not to mention your sanity. When little priorities demand too much of us, big problems arise: This is inline with overlooking what doesn’t really matter. When we don’t overlook the little things and they take our time and attention away from the big things, that’s when all chaos breaks loose. If you focus on the cleaning needs of the house in the moment when your children really need a few minutes of your time and attention, often the demand for your attention will increase. Stop. Give your kids (the bigger priority then the house) even just 15 minutes of your attention and love and I promise they will then give you plenty of time later for the house. Ignore their requests for your attention and the bigger their demands will become. Time deadlines and emergencies force us to prioritize: Have you ever noticed that the times we have deadlines looming the more effective we tend to be the more we get done? Then there are those times when you have no deadline in sight and it seems as if the project or priority could just go on and on waiting for you to give it your attention. Deadlines do help make us effective and kick us into gear. However, because work deadlines seem to be more readily available then personal deadlines, I often see clients bump the personal priorities because of the professional deadlines. How can you start setting deadlines for your personal priorities in a way that helps motivate and kick you into gear to deliver on your word? If you’ve been saying over and over again that you and your husband need to start going on monthly dates, set the date and plan an event that requires tickets to be purchased or a reservation to be made. This will push you to find a babysitter and make whatever arrangements need to be made to follow-through with the priority. Same thing with taking time for yourself or your kids. Make a reservation for a day at the Spa and send an email to co-workers immediately letting them know you’ll be out of the office that day. Sit down with your child and look at the calendar. Set a date for your event and start making plans. Use the Law of Deadlines in your favor to help you make time for your personal priorities now, rather then later…later…later. Too often we learn too late what is really important: As Senator Paul Tsongas said, “Nobody on his [or her] deathbed ever said, ‘I wish I had spent more time on my business [or cleaning the house].’ Unfortunately, for some, emergencies eliminate the chance to make different choices and set different priorities. Don’t wait for the emergencies or Wake Up Calls to occur to start making time for what really matters to you now. Want help getting clear about your priorities? Need support in calming the chaos, whether that’s personally or professionally, so that you can live what matters in all areas of your life? Contact me to schedule a complimentary Calm the Chaos Consultation call, or pick-up a copy of the Calm the Chaos Journal today. Life, leadership and love success coaching, consulting and training for business owners, executives and their teams. Nicola Ries taggart is a life and leadership success strategist, coach and consultant.